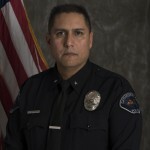 Date/Time Reported: November 26, 2018 / 7:02 P.M.
On Monday 11/26/18 at 7:02 P.M., Cathedral City Police officers were dispatched to the intersection of Ramon Rd. and Crossley Rd. regarding a traffic collision. Officers arrived and determined a traffic collision involving a pedestrian and a minivan had just occurred. Upon preliminary investigation, officers leaned that Palm Springs Fire Department and AMR paramedics were dispatched to a collision at the Ramon Rd. and Crossley Rd. intersection. CCPD officers determined the collision had occurred in the westbound lanes of Ramon Rd., approximately 300 feet east of the intersection, within the jurisdiction of Cathedral City. The injured pedestrian had already been transported to Desert Regional Medical Center (DRMC) for emergency medical treatment while CCPD officers remained on scene and conducted a traffic accident investigation. Officers determined the pedestrian; (a 50-year old male) was crossing the roadway northbound and was struck by a vehicle traveling westbound on Ramon Rd. The pedestrian was not within or near a crosswalk and was not near an intersection. The driver of the vehicle remained at the scene for the collision investigation. He was cooperative, was not impaired or intoxicated and upon preliminary investigation, was found not-at-fault for the collision. Unfortunately, the pedestrian succumbed to his injuries at DRMC and was pronounced deceased. Police activity in this area will continue through the late evening but all roadway lanes in this area are open. There are no other details regarding this collision, which is still under investigation. 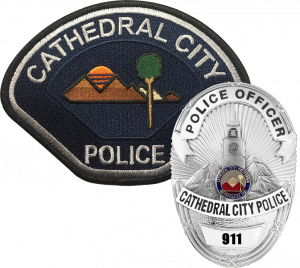 It should be noted the Cathedral City Police Department has been working several details in the last few weeks addressing traffic issues related to pedestrian safety on the Ramon Rd corridor. The department-wide effort includes focused enforcement of traffic laws, including jaywalking and unsafe roadway crossing by pedestrians during darkness. The City’s Traffic Engineering Department is also developing signage in English and Spanish to be posted and displayed along Ramon Rd., directing pedestrians to use the signal-controlled crosswalks in the area. The safety of all of our residents is paramount and the Cathedral City Police Department continues to remind the public to use crosswalks in this area and never assume that motorists see a pedestrian, especially at night.